Get tips on creating your own online photo album. 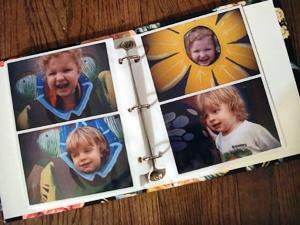 Online photo albums aren't just for storage anymore. From interactive options to printing and digital image editing, web photo albums come packed with features designed for both amateur and professional photographers. If you're interested in a basic photo album service without the extra bells and whistles, browse the options below. These companies focus more on selling their image services than on providing a place for photographers to share their photos. RitzPix: Sharing options include email, and blocks of HTML for posting to blogs, Facebook, or eBay. RitzPix provides only minimal organizing and editing features, but does offer photo albums and personalized photo gifts. Picture Trail: Although this provider offers cropping and resizing options, they don't feature other editing features. You can share your images by providing visitors with a URL to your photo pages. To complete registration, you must view a series of special offers, but you don't have to sign up for any of them. Clark Color Labs: With extra emphasis on selling their services, Clark allows unlimited photo storage for as long as you are an active member. Mandatory participation includes purchasing film developing or gift merchandise. If you're an advanced photographer rather than someone who simply wants to share family photos, the album providers below might serve you better. In addition to sharing your images with friends and family, you can also interact with other photographers while accessing high-end editing and sharing features. Shutterfly: Since 1999, Shutterfly has provided online services to photographers. Their photo album and digital imaging features include unlimited storage, full resolution image storage, reliable customer service, and image editing options. Plus, they offer 50 free 4x6 prints upon registration. Snapfish: Powered by HP, Snapfish offers photographers a free online photo album that is easy to share and edit. Features include unlimited storage and sharing, customized photo gift items, photo editing tools, privacy options, and 20 free prints to new members. Photobucket: Seven years ago, Photobucket was mostly a free place to store your photos, but they went on to incorporate slick features that give other photo albums stiff competition. Album options include slideshow, collage and postage stamp tools, 500 MB of space and 10 GB of bandwidth, privacy features, account-to-site sharing, custom URLs, and tons of personalized gift items. With so many digital album options, you shouldn't have trouble finding a service that's right for you. To ensure maximum satisfaction, take time to read the terms of service and photo album descriptions before you sign up. Reputable photo sharing services don't require registration or user fees unless you choose to upgrade. Also, don't forget to make back-ups of all your images.